With destiny on her side and supernatural forces unleashed that she never could have imagined, Keya has triumphed: she has found the warrior of legend who will save her people from the evil Lord Randar. 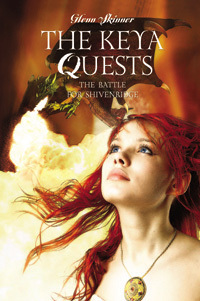 But she finds that her epic quest has only begun -- now they must free the people of Shivenridge. Keya’s army charges through the portal and races into the raging battle below. But is Shivenridge ready to accept what Keya brings? Years of war and hardship have fostered suspicion, and the people have mixed feelings about the legendary Black Sword and the warrior who wields it. New friends, old enemies, betrayals, and dreams of destruction abound. Keya must come to terms with a psychic’s prediction, and an ancient book that holds the key. A curse must be broken, and there is a secret to be revealed. Keya’s life has been drastically changed, giving her new resources of personal power and emotional strength, but she still struggles with doubts and fears that may be her demise. As Keya and her companions embrace the elation and frustration of adjusting to their new roles in Shivenridge, the portal between the worlds remains ready to be used…or misused. There are friends waiting to join Keya in her quest, but Lord Randar’s legacy of evil lives on in his lieutenant, who shares Randar’s lust for power and revenge. Join us now in the next adventure with a uniquely endearing heroine whose impulsiveness, courage, integrity, and innocence combine to make her both deeply human and immensely powerful. Will her gifts allow her to overcome the odds again? Or will the price of freedom for Shivenridge prove to be too high? Glenn Skinner is a Fantasy and Sci Fi author. 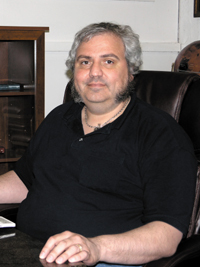 He brings his lifelong love of fantasy, science fiction, and medieval history into everything he writes. Without imagination, the world can be filled with shades of grey. Through his writing he brings color into the grey. He is a technical support engineer by day, star gazer by night, and an author always. Glenn lives in Massachusetts with his wife of 35 years; they have five children and three granddaughters who share his love of imagination.